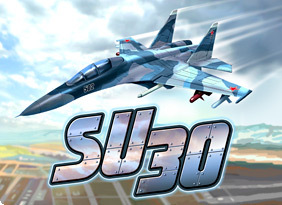 Su-30 For Nokia is the war game that about thglobal terrorism. ...... mountains, as you search for more information on the whereabouts of the terrorist leader. Each level has destructible environments so don't leave any stone unturned in your quest for uncovering the terrorist secrets, blow up bridges, buildings and supply bases wherever possible. You'll have access to loads of weapon upgrades and even missiles and rockets to help you with your task. You'll need all the help you can get as we've had reports of sophisticated new technology never before seen in modern warfare. Expect troops on the ground, helicopters and planes in the air and advanced warships at sea. So take to the skies in your Su-30 and annihilate enemy targets on land, sea and air in an effort to put an end to global terrorism. Rip dvd DVD convert all video format to Nokia 3GP, MP4, 3GPP. Free unlimited cellphone storage,Build-in MSN to exchange mobile stuff.Free use. A unique software solution that will stop your home from being foreclosed. Qweas is providing links to Su-30 For Nokia 2011 as a courtesy, and makes no representations regarding Su-30 For Nokia or any other applications or any information related thereto. Any questions, complaints or claims regarding this application Su-30 For Nokia 2011 must be directed to the appropriate software vendor. You may click the publisher link of Su-30 For Nokia on the top of this page to get more details about the vendor.